Traffic and statistics from Build Internet’s eleventh month in the web niche. A (slightly delayed) look back at the start of Fall 2009 on Build Internet. 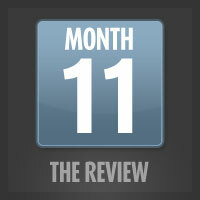 A look back on the numbers and posts from August 2009, our ninth month as a blog.